Well, 2007 was a dream. Winter came early (4th of November) and with a heavy snowfall. 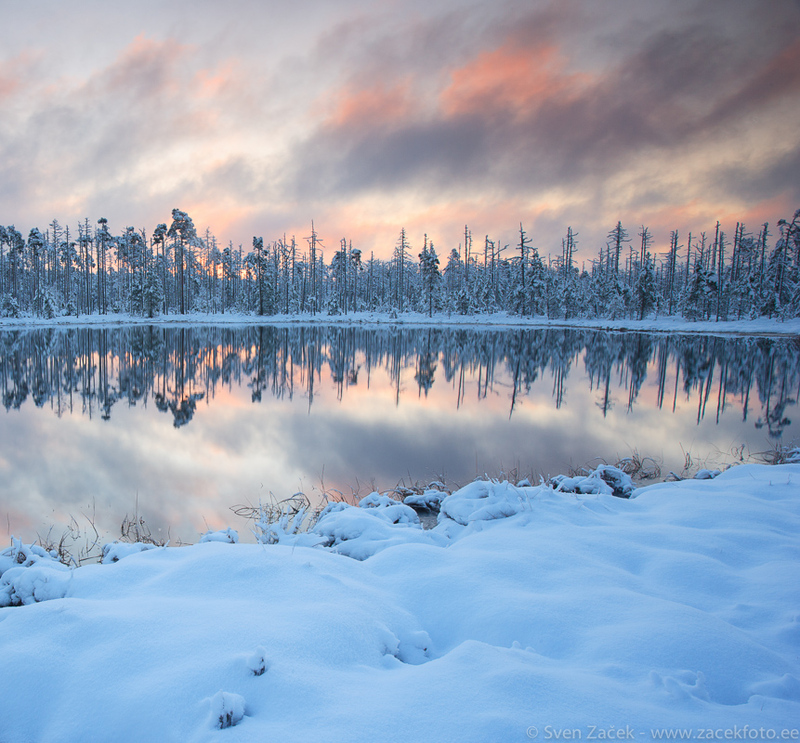 During the night the snowstorm started clearing and at sunset this is what a larger bog pool looked like. Completely open water, but a lot of snow on the trees. Wow! Amazing colours and lights! What a lovely pack of snow! Beatiful light and scenery - fantastic! Beautiful colours in the winter land... Looks cold. 67.Hyde,I agree. I think China is in a vullerabne spot moving forward. If they get sucked into the coming war with Iran they could find themselves on the losing end.